Discussion in 'Price Drops, Must-Have Freebies, and Deals' started by VisibleDucts, Apr 22, 2016. Just happened to look at my wish list and saw that this game is free right now. Don't know if it's a permanent change or a sale. ... Nor do I know how to create the nice AppStore links. 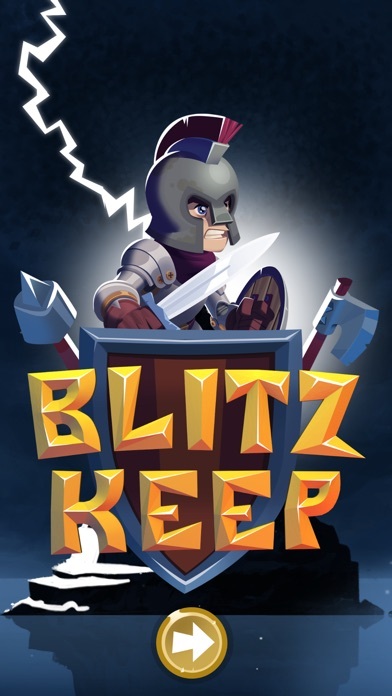 First time creating a thread..
BlitzKeep, where pinball meets an RPG! Or maybe where pachinko meets an RPG? Something like that! 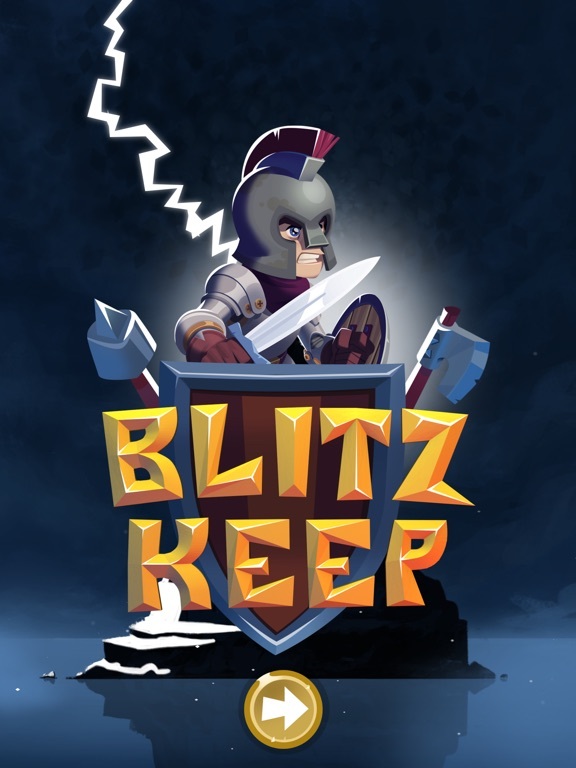 “BlitzKeep combines pinball with a dastardly RPG.” - Pocket Gamer “The visuals in the game look gorgeous.” - It’s New “My favorite new game release this week.” - App Advice “I love the freshness of the idea.” - Modern Jamming “Game of the week.” - Macgasm Point your hero where you want him to attack, and he won't stop moving until he's reached a safe zone or has died! The latter happens far too often... Pick up gear to increase your power, and kill weak enemies first so that you can level up enough to kill the stronger ones. Eventually, you may even become strong enough to kill a massive boss! Don't be disheartened by frequent deaths - it takes only moments to try again! ------------------------------------ The Story ------------------------------------ You play as an intrepid hero who is descended from a long line of heroes, and has the blood of the heroes, and is very heroic. Your homeland was taken from you and your kin by the evil Blitz Mage, who used his villainous powers to curse the entire island! The curse says that whoever stands still while in darkness will turn into a monster themselves. Looks like you've got no choice but to keep running! 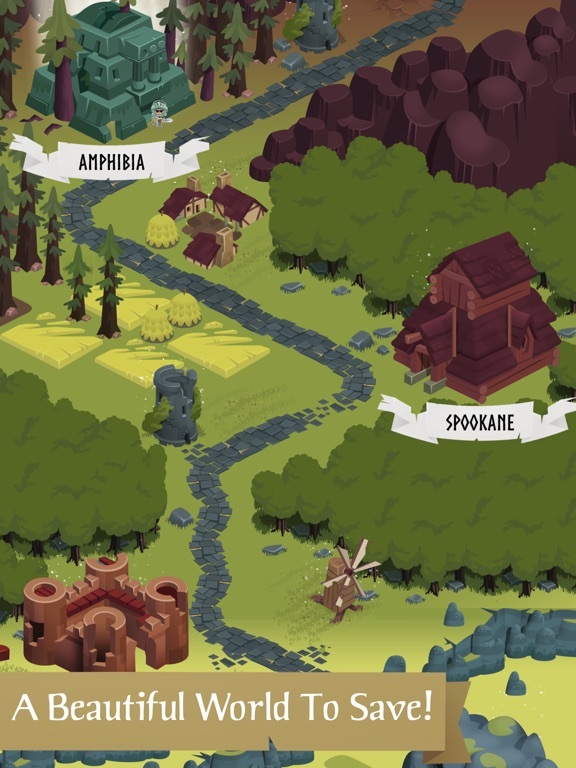 You will travel through 5 kingdoms on your way to The Abyss, the never-ending level. Each kingdom has a king that has been transformed into the most horrible of creatures – a huge boss monster. Beat the boss to move on to the next land. 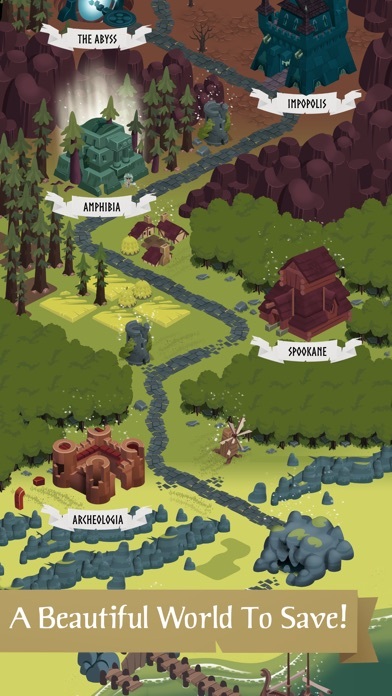 There are 5 kingdoms to defeat: Puddland - Home of the Crustacean Commander Archeologia - Domain of the Granite Gurkhan Spookane - Realm of the Ectoplasmic Emperor Amphibia - Land of the Toadlike Tsar Impopolis - Kingdom of the Malicious Maharaja There is also the infinite level, The Abyss. 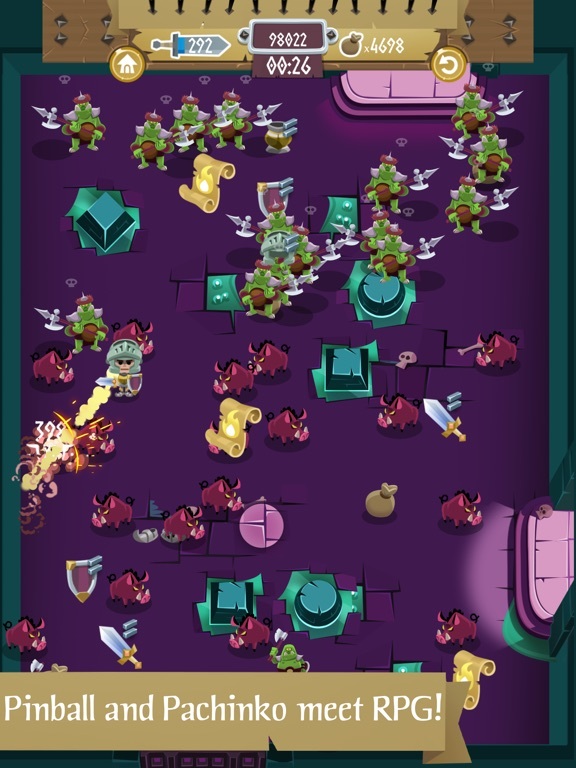 ------------------------------------ After you've finally struggled through all the kingdoms, can you beat your high score? What about your friends' scores? Compare them on Game Center (more achievements coming with later updates)! ------------------------------------ Help ------------------------------------ The tutorial should get you started. However, there are a few tips from us to you: • The secret to winning is taking your time and killing absolutely every enemy you can. • You beat enemies by having a >= POW than them. Your POW is inside your sword in the HUD. If you have less, you die! 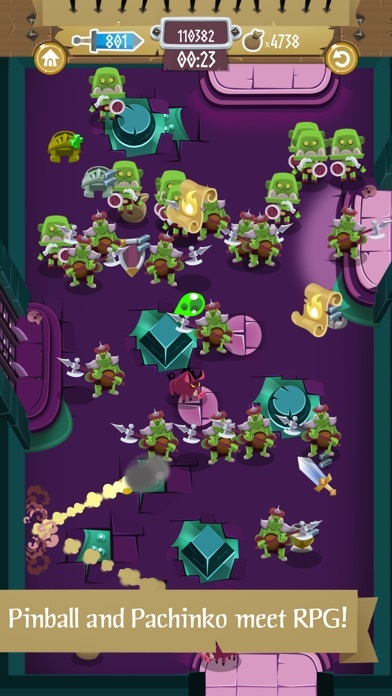 • Enemies that are stronger than you will have a small skull above their heads. 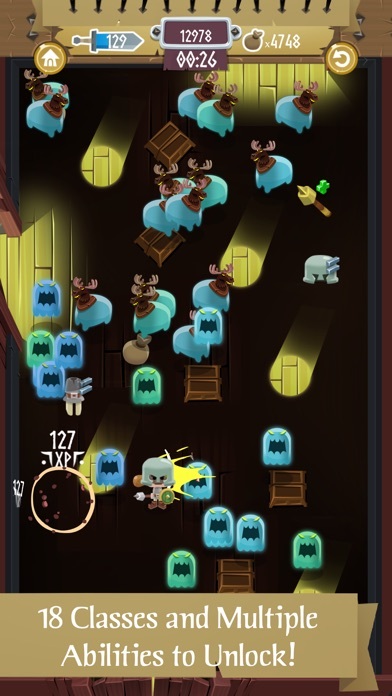 • You can increase your POW either by picking up items with a "+" (meaning they are better than what you've got), or by killing weaker enemies to level up. Each time your sword fills with blue you will level up, and as the Knight this will grant you 3 POW. • If you start to run out of time too often, go to the Shop and buy some time upgrades! The first few are very cheap. • When you collect gold, you keep it, even if you die or restart! • Your score for a level is: totalEXP + totalItemPower * 5 – it's a direct measure of how strong you are, regardless of the class you selected! 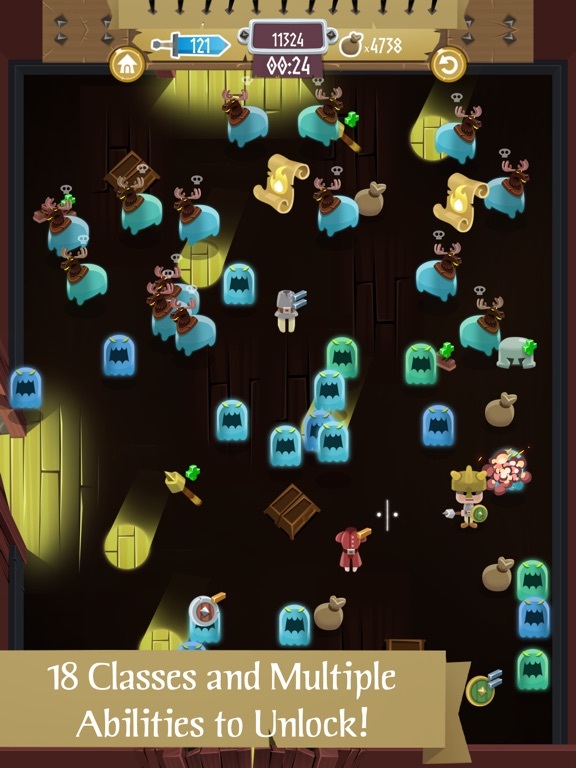 • Your progress in a level will be used for the next level only if you beat that level with a higher score than the last time you did it. 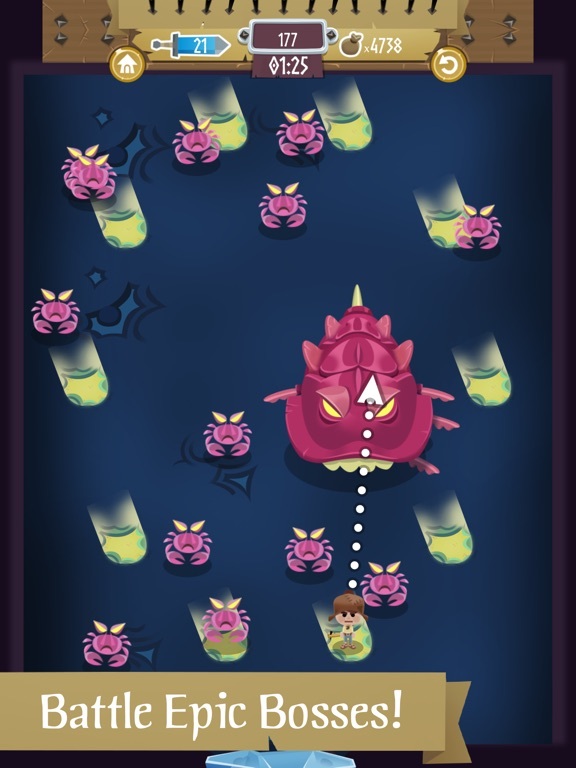 • Tap as you hit a wall to boost. You'll be invincible, will plow through enemies, and will also get a speed bump. Use this to beat enemies that are stronger than you. 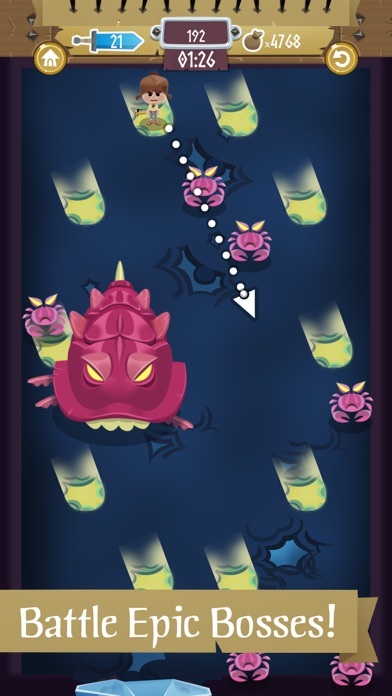 • Swipe while you're moving to slightly change your direction. You can use this to get yourself out of infinite bounces, or to try to nudge yourself towards things. Last edit: game crashes on my iPad mini so I can't check to see if it went f2p or etc. or play it ; ;. I really am going to need to get a newer iPad soon..